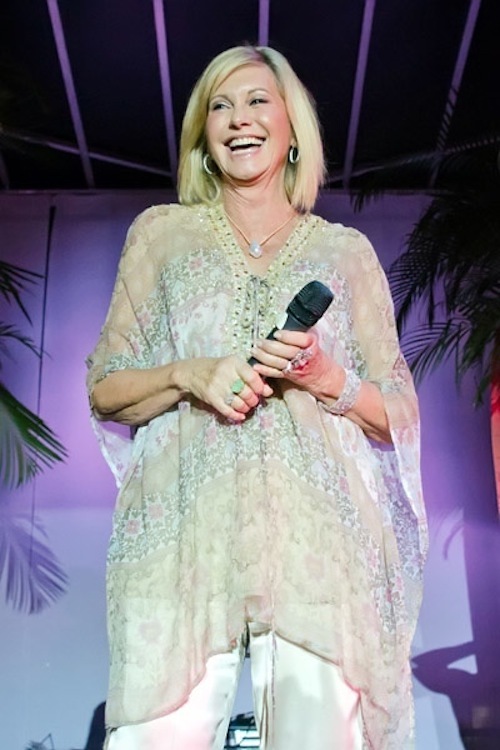 Saturday night, June 25th, 2011, Olivia Newton-John celebrated NYC Gay Pride AND marriage equality with the LGBT community at the "Bondi Beach" event on Governor's Island. She dedicated the new version of her mega-hit "Magic" to the LGBT community who, due to the new marriage equality law passed in New York state one night before, can now marry the person they love. "I have many gay friends that I love and care about, and I am so happy that they can now share their lives with their chosen loved ones and be afforded the same rights as other married couples." 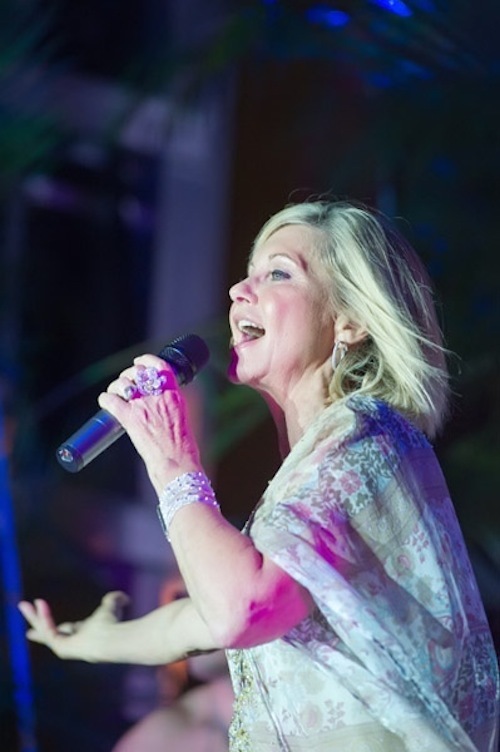 The sales of the new version of "Magic" benefit the Olivia Newton-John Cancer and Wellness Centre - download it here on iTunes. It was a great event--from a talented--and classy lady! Awesome - so great to see the pics from down under and great to hear she dedicated our mix to the cause!!! Olivia is a great, great star. I'm proud to know an artist of such integrity, talent and humanity. Thank you Olivia for being the icon we dream you to be. I'm so sorry I missed this! It looks like it was about a million times better than the (sucky) Pier Dance. how wonderful to see the beautiful and talented, ms. newton john support the gay community and the victory in new york! NYPD has some fine looking guys. Olivia is beautiful as always. She is absolutely fantastic and i have been a big fan! From South Africa! I agree about the UK. The thing is: the NYC Pride event producers came to Olivia with the offer to appear. The UK fans need to get event promoters or concert promoters to make an offer to Olivia. That's how all these things happen. You should all check out the video clip for MAGIC 2011 on You Tube...It is sensational!!!! !...a cast of 300!!! !..I am so jealous, wish I'd a been there....download the song from iTunes!!! !...a big fan from BRISBANE AUSTRALIA!!!! The Bondi Beach event was far better than the pier dance! Olivia was amazing! Looked beautiful and had a smile a mile wide! She was so gracious! All the gays should bow down to her!!! Olivia,just like Kathy Griffin and Lisa Lampanelli LUV their gays!!! (and their wallets) LOVE U O!! This the first time I have ever posted a comment. I have honestly loved Olivia since I was 11, and I am now 45. Olivia is Totally Hot.